George Bernard Shaw said that whiskey is liquid sunshine. As we inch closer to the end of winter we dare say that we could all use exactly that kind of sunshine to get us through. The frozen world around us will begin to melt, and for some reason it feels like a great time to sip a little bourbon. 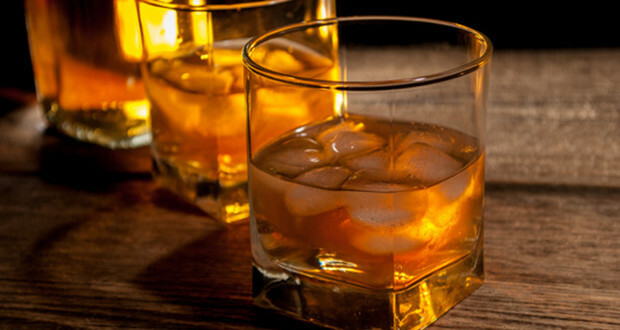 Before we get into sipping bourbon (the best part), what exactly is it? Well, it’s a type of whiskey that is made from at least 51% corn, which is why it’s sweeter than regular whiskey. 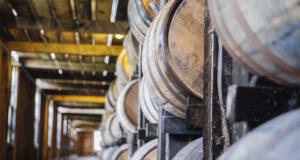 It’s usually aged for at least four years, and in the United States that takes place in charred white oak barrels (yum…). I could fill up this whole page talking about different types of bourbon, but I honestly think that knowledge can come later. The best thing for you to do is to head to a reputable liquor store and chat with one of the employees. Let them know how much you can spend and they’re sure to hook you up with a bottle of delicious bourbony nectar. Grab a nice lowball glass with a wide mouth so you can get your big honker in there to smell the divine deliciousness that someone so painstakingly prepared for you. Fill the glass ¼ full. Now here’s the pro tip: touch your lips to the glass, take a big whiff, and tilt the glass forward for a sip. This way you’re smelling and tasting at the same time. Your brain is in for such a treat. 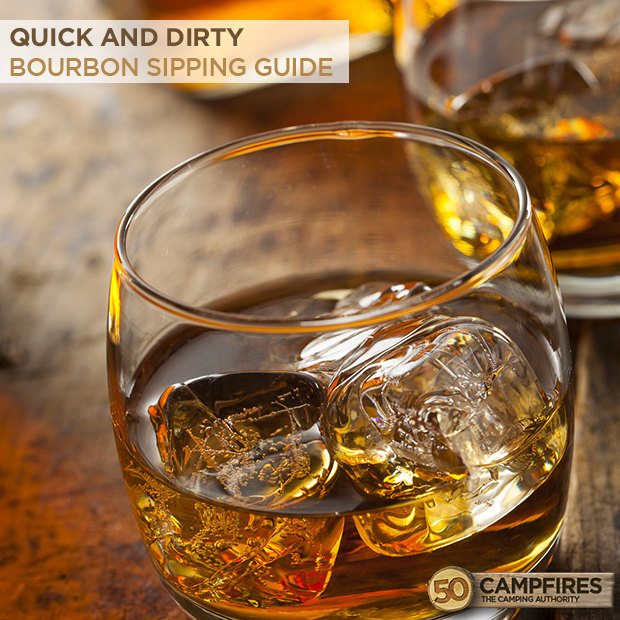 If the bite is a bit much for you it’s ok to toss a small amount of ice in your bourbon. It will melt and dilute it just enough to take the bite away. Also, many will argue that this opens up the bouquet a little more. So do that. Open that baby up if you want to. If you absolutely must mix your tasty treat keep it classy with a nice, spirit forward Manhattan. If we catch you filling that glass up with ice and Coke we won’t be able to be bourbon BFF’s. Cheers to the meltdown! Bottoms up!